Our very popular Core Concepts course presented annually is most heartily recommended for everyone who is new the concepts of C G Jung. Regardless of one’s background - professional therapist or novice - the course offers insights that will enhance understanding of the premises that underlie the body of Jung’s work. An added benefit of the 8-week course in this informal setting is the opportunity to get to know new & existing members of the Jung Society. 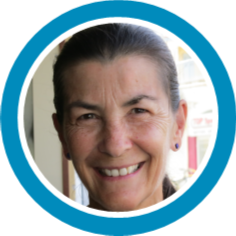 Annette Lowe is a Jungian analyst who has been in private practice in St Kilda for twenty years. She is a past president of the Jung Society, and has given several talks there. She is also a training analyst for the Jung Institute in Zurich. Payment: The cost is already discounted when paying in advance for the complete course. If you wish to pay for an individual session then you are able to do so on the night at the meeting room (please come earlier). Credit card facilities will be available, however it is advisable to also bring cash in case of technical difficulties with the mobile equipment and internet.